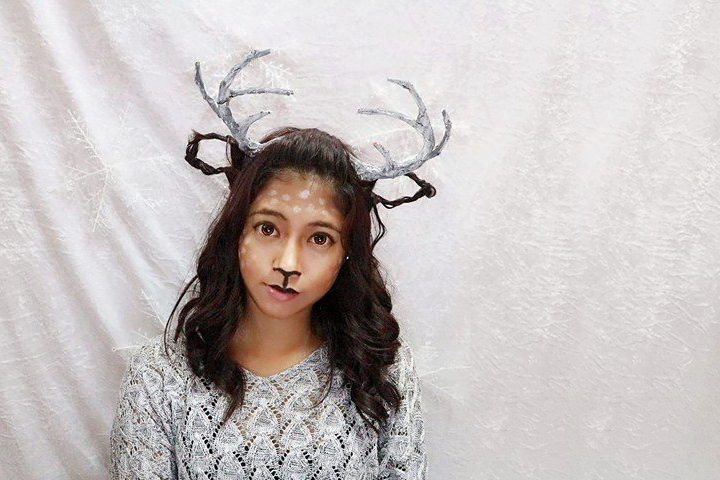 X-Mas Special Makeup Tutorial: Miss Reindeer! Remember the other day I said that I was going to do 2 special makeup tutorial for this season? Well, I am proud to announce that I completed the first look: Miss Reindeer!!! This, I would say is much simpler than the next makeup tutorial, but it was definitely not easy either. Mainly because I had to make its prop before I could start filming. Here it goes! This was my overall look, I kept it very minimalistic and stuck with the grey tones throughout the whole concept. What do you think? Did I pull it off? Or I am way far from hitting the marker? Full makeup and prop tutorial down here! You are so clever with your makeup. This is one of the things I love about your blog. You certainly look like a reindeer in winterland. i love your make up tutorial and it full of fun seeing your video. A cute reindeer version. Merry Christmas Yana. Merry Christmas Betty!!! Thank you so much! How talented you are! I guess i can still make this even after Xmas hahaha. Merry Christmas Yana! thank you so much dear! for halloween maybe? Merry Christmas!! Gosh! love the overall look, esp the spotted and black lippie. Your make up is pretty awesome babe. :) Very impressive. As usual dear you pull it through =D The look is so pretty and the headpiece you create yourself is so creative!! Wow this end results looks neat and clear and easy to do. Most work is getting those horns done. Just followed you step by step on you video. Thank you so much Orsen! do try it out for next year dear..
Oh my gosh babe! 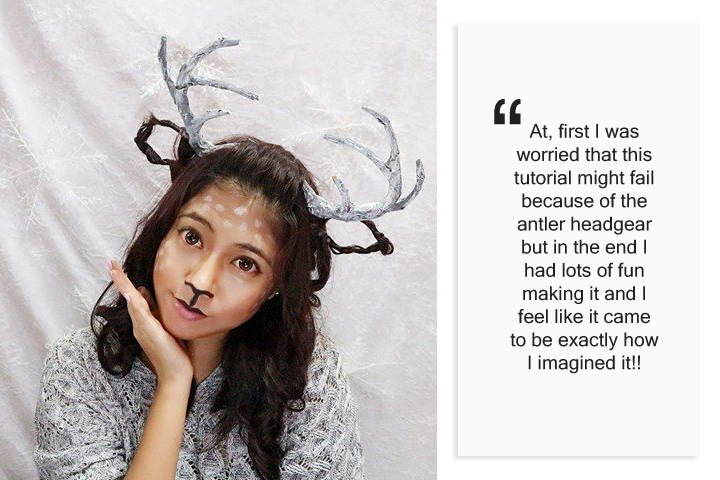 You really look like a Miss Reindeer, so pretty and talented. I wish I make up as well as you can. The type of make up I do, is the simple ones only. do try it out candace! Wow dear ur make up really nice! BTW I like your new header, damn pretty! Oooommmmggggg!!!! Ur blog template change! Super love this one. And ur makeup, so prettyyyyyyy! This looks so cute!!! The makeup looks perfect for Christmas. So beautiful and talented girl. Love your tutorial. It look fun! thanks dear!! glad you liked it! 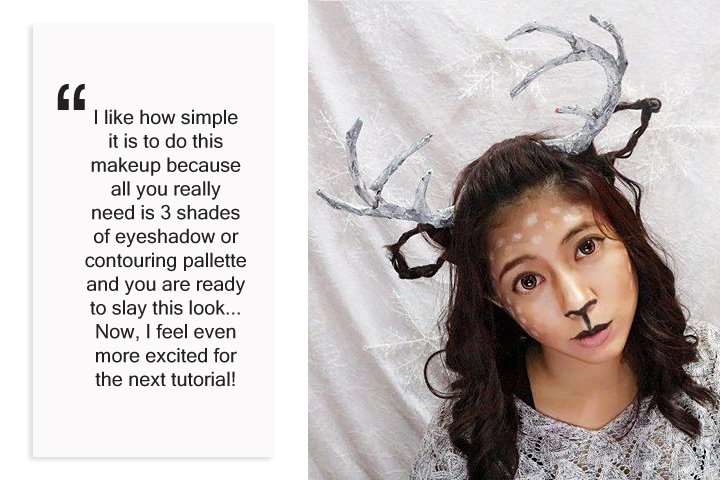 Having done something similar to this last year, I have to say that you pulled this look off greatly :) Lovely tutorial dear.